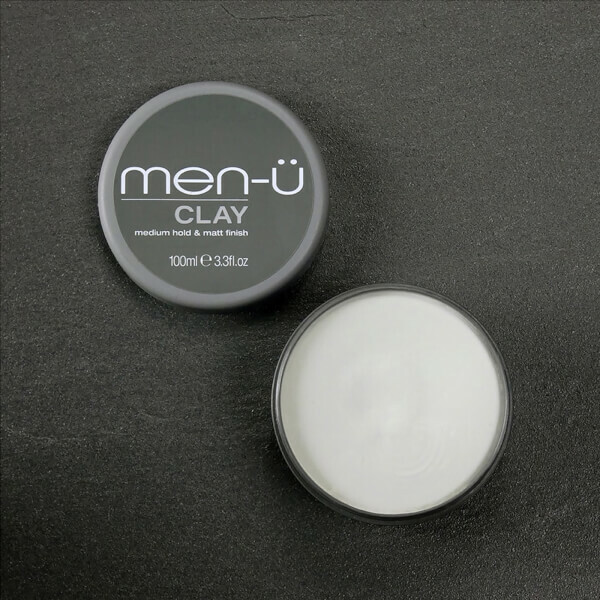 Despite a diminutive size which is TSA compliant for carry-on luggage, the clay delivers up to 80 applications and is strong enough to work difficult hair into the look you desire. - L.R. I normally use fudge mat head clay but came across this and decided to try it. Was pleasantly surprised at the ease of use, the subtle scent and the longevity. I've put this to the ultimate test by wearing it in the morning then getting on a 13 hour non stop flight, sweating and walking through humid conditions, after this time I was still able to re mould and freshen up!! Good stuff! 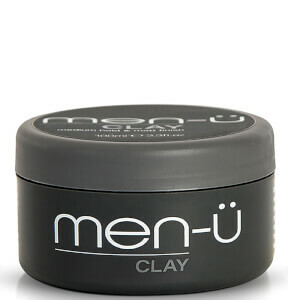 Great clay that holds all day and isnt shinny or messy. I wanted a product that was not greasy or shiny...this does the trick- don't need to use much and it smells great too. I have a fine, medium long, super straight hair. Expected this product to be heavy in the hair as soon as I opened the cover, and i was totally surprised. For rocking a pompadour this is one of the best products I've ever used, it doesn't make the hair sticky, leaves it flexible, and lasts whole day. You can even do a mohawk and it will stay the way you wanted. When rubbing between your hands it does not flake, unlike label.m matte paste. Dissolves fast in your hands and in your hair, easy to spread it through out the hair leaving matte finish. This product was recommended to me by mankind and i'm thankful for that. The services are amazing from this website. It also arrived on time which i respect the most. Great hold and smells nice! Strong and long lasting hold | Love it! I tried a lot of hair products and this remains one of my favourites. I have medium hair, pompadour haircut and this is really helpful as it provides a strong and long lasting hold. What I love most about it is the matte finish. Also the fragrance is nice. I highly recommend it. Excellent product. Soft clay rather than firm in the pot. Smells of Watermelon. Gives great hold and texture, and leaves a nice matt finish. And easy to wash out! 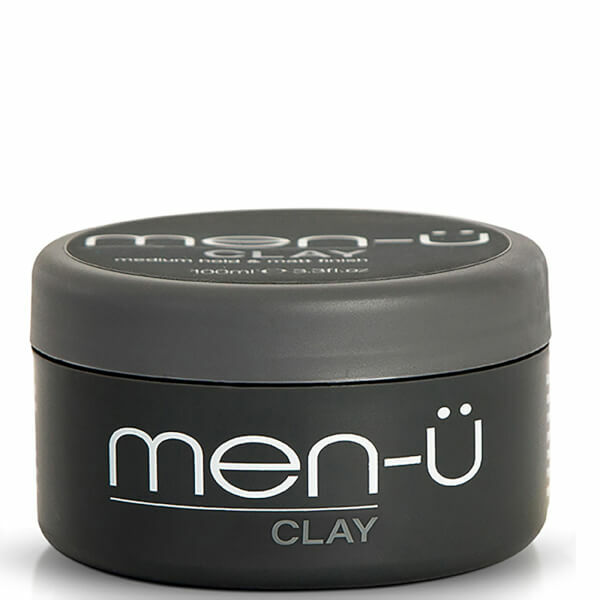 Ordered this Clay 100ml and it was delivered the next day. Excellent service from Mankind! I highly recommend mankind products. I used to get them from my barbers but he has closed so rather than switching to other products I went online and ordered it as I felt nothing else competes. I was so happy with how easy and efficiently in which my order was placed and dispatched!! Amazing!! Perfect hold balance, doesn't go on completely dry like AC Fiber for example but this is massive plus as gives you time to style. When it does dry it gives a great matte look. Great for short/medium hair. Tried loads of products like Fiber, LSB, fudge, TGI bedhead and this stuff is clearly the best. Nice melon smell and washes out easily unlike Fiber and LSB products. Lovely watermelon fragrance. Leave hair easily styled and choppy without looking greasy. I use a lot of product and this is by far my favourite. I wish they stocked it in Boots.. The premier product I have ever used on the hair, with the perfect amount of hold and not too greasy, smells good too.